Working on a start-up is not an easy task, and we are here to hold your hand through the difficult path. Light up your Saturday with eventful sessions at Innocity, CIIE-IIM-A. For detailed information about the venue, timing & speakers, log on to http://bit.ly/icmodules and book your seat. Design Thinking is an innovative approach to address intractable problems that businesses face. 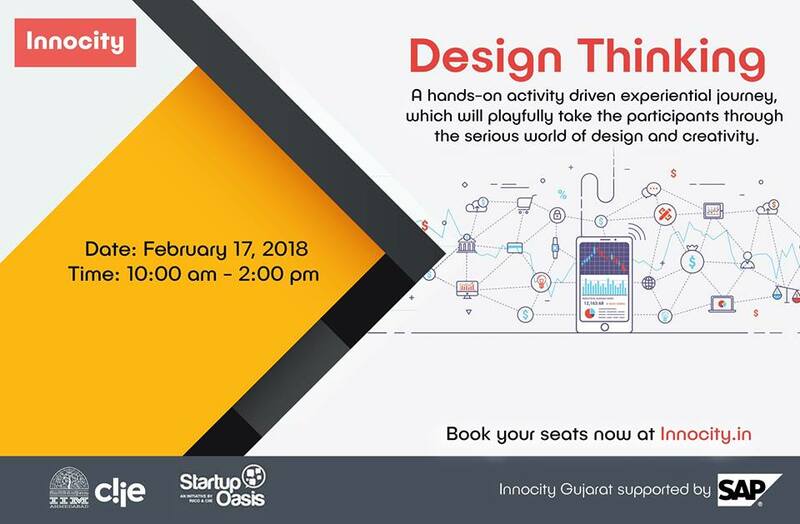 One of the key elements of Design Thinking is its human centered approach that has revolutionized a range of industries from technology to services, health care to urban planning and beyond. Design Thinking has been found to not only support but also enhance business strategy of companies across sectors. – Understand the Design Thinking methods.